Please take the time to fill out the below questionnaire for us to better serve you. Thank you! 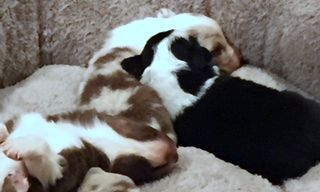 All puppies have their first vaccines, wormed, tails and dew claws removed per standard and are well socialized before they leave for their new homes no sooner than 8 weeks of age. · Considered an Older Dog Instead? · How Will He Be Confined When Outside? · Fenced Yard or Suitable Pen? · Ever House Trained a Dog Before? · Long Lived at Address? · How Long Did Last Pet live? · Ever Returned Pet to Breeder? · Ever Given Pet Away? · Ever Taken Pet to Shelter or Pound? · Interested in Showing Dog in Conformation Ring? · Ever Show Dog to it?s Championship? · Interesting in Competition in Performance Events (obedience, agility,herding)? · Showing Dog to Performance Titles? · Intend to Breed Dog? · Understand Difference Between Limited Registration and Full Registration? 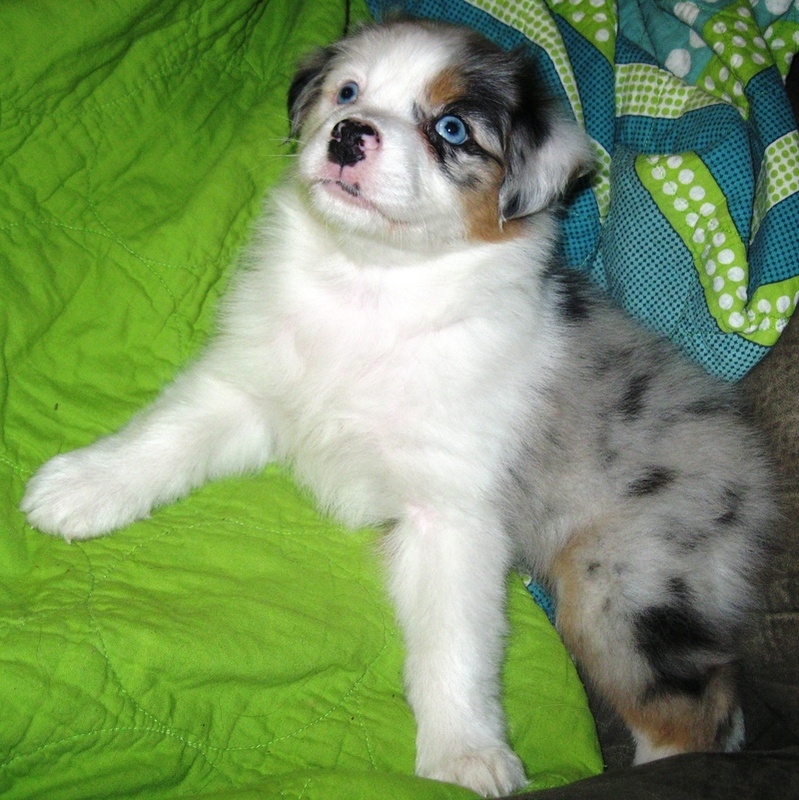 The Australian Shepherd, the Miniature Australian Shepherd, Miniature North American Shepherd and Toy Australian Shepherd are all different breeds. As of July 2012, the Miniature Australian Shepherd has become recongized as it's own breed is now called Miniature American Shepherd in the American Kennel Club (AKC).